This is a summary of the synthesizers and other electronic apparatus I have at one time or another worked on, from just using them to basic rebuilds to complete re-engineering projects. What a find! Well, it will be once I've finished restoring it. Really nice Fatar 76-key keyboard action (semi-weighted), built-in hard driver, really nice sound, and with E-Mu's Z-Plane filters and awesome sample processors. Originally bought for my MSc research, the plan being to generate the raw waveforms on my PC in software, then download them over MIDI to the ESI and play them. Maxed out RAM, latest OS, and a SCSI card. It's a sweet little sampler. My favourite little monosynth. This photo is of "Jenny" before I got my soldering iron on her and modded her up a bit. See my restoration page for more details. I acquired this true-blue analogue polysynth in a non-working state (much like the Jen ... bit of a common theme there). So I've decided to give it the special treatment and re-engineer it and have some fun. Hopefully it'll be interesting. The K2500R is a top-end synthesizer, utilizing the VAST synthesis engine - samples, DSP programs, layers, etc. With a potential 192 oscillators shared amoung 48 voices (24 in stereo) and filled with 8MB of high-quality samples. The Yamaha TG55 (and its keyboard cousin the SY55) is essentially the 16-bit AWM2 part of the SY/TG77. Classic sample-based synthesis in a 1U rack, and some of the sounds bring back fond memories of the SY77. 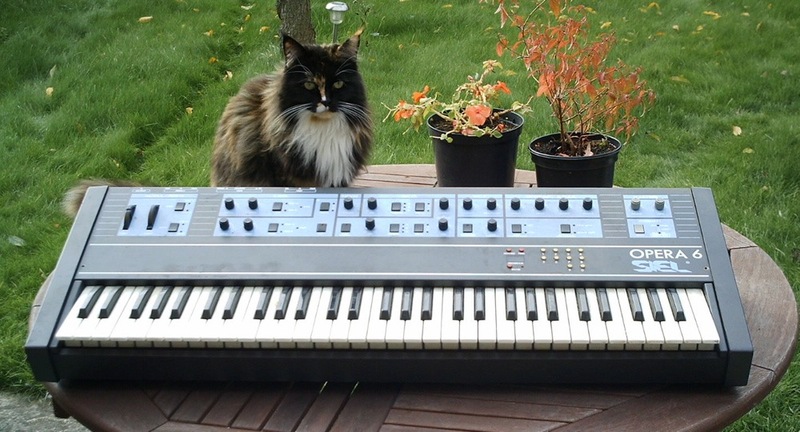 "The K4 from Kawai can be thought of as a warm and fuzzy digital synthesizer. A sample-based digital synth, its sounds are those typically weird industrial type sounds that can still be useful in lo-fi, big-beat and trip hop music styles. The sounds are 16-bit preset PCM samples of acoustic instruments. However, unlike its predecessor the K1, the K4 adds a welcomed digital filter section. This truly makes the K4 more flexible, fun and useful for today's filter tweaking music effects!" What grabbed me was the vocal sound - very artificial, but sounds awesome. Considered by some to be the reference drum machine, with some of the finest drum samples around. Sure, the sounds can appear a bit dated, but one man's cheese is another man's matured stilton. The Roland W-30 was a classic early sampler workstation, based on the S-330 12-bit sampler. Well-known favourite of Liam Howlett of The Prodigy, I found this keyboard on eBay and gave it a full restoration back to full health, including adding the optional SCSI interface to talk to an external HD and CD. Later on I sold this fine machine to move on to other projects, but I still keep my project pages alive for sentimental reasons, and also available for other W-30 owners. This is a classic English analogue mixer, dating from the early 80s. It's brown, it's huge, it's heavy... and it's got real VU meters! A basic British classic mixer. Only six channels, but just right for supporting the development bench. And being the immediate predecessor of the larger System 8 it fits nicely with it as a remote mini-mixer for the bench. Picked this at an absolutely crazy price on eBay. It provides eight tracks, up to 96kHz at 24-bit recording, to an IDE hard disk. And the front panel is detachable and the cable can be easily extended using ordinary SVGA extension leads (I have a 5m one). It's vintage (1980s). It's digital (8-bit, plus compander). And best of all -- it's brown! Another amazing eBay find. This is the classic MIDI sequencer that spawned a thousand hits. Fast, reliable, robust. Chunky, you might say. My home-built MIDI routing unit, and published in a British electronics magazine. More details can be found on the hardware projects page. 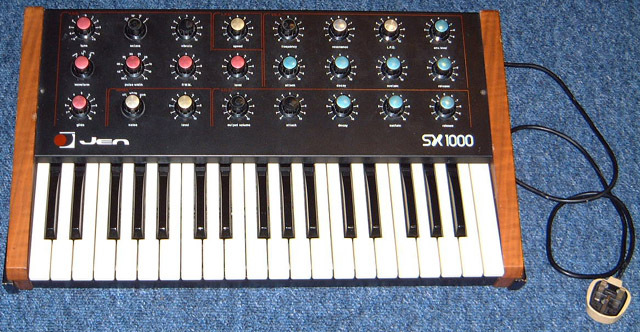 Over the years I've owned a number of synthesizers that I have subsequently sold on. I keep the individual pages as an aide to others.